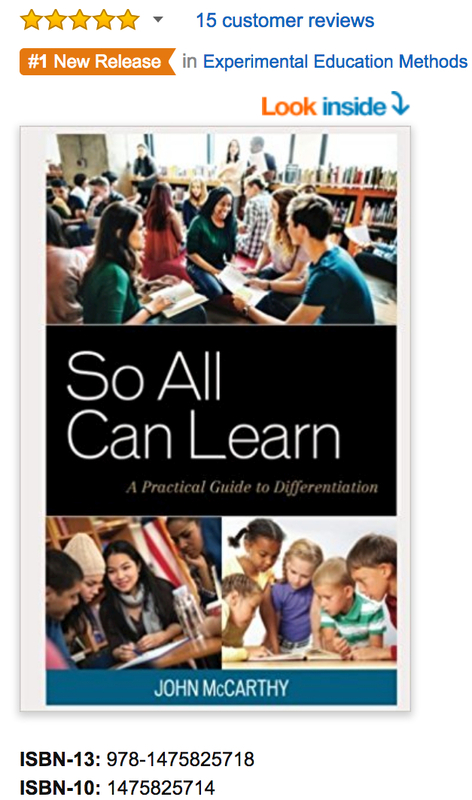 As widely requested, the study guide to support Professional Learning Groups of educators is available. Use the link above. Please share your feedback so that it can be continuously updated. Download just the Level UP Differentiation to reflect on professional instructional growth. Thank you Claire Murray for developing the Study Guide. Your experience and expertise is greatly appreciated. Claire @ClaireAAMI is a retired teacher and school counselor. She writes regularly for the Deadwood Writers.